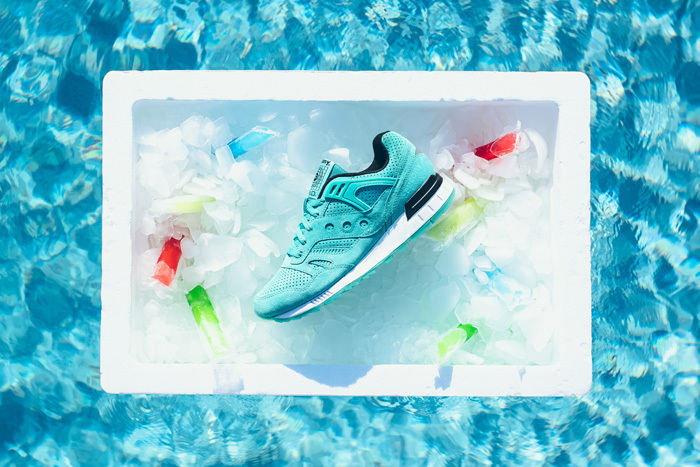 Saucony Originals encourage us to make the most of the remaining summer months with a selection of vibrant colour ways in the GRID SD Premium Silhouette as part of the ‘No Chill’ Pack. 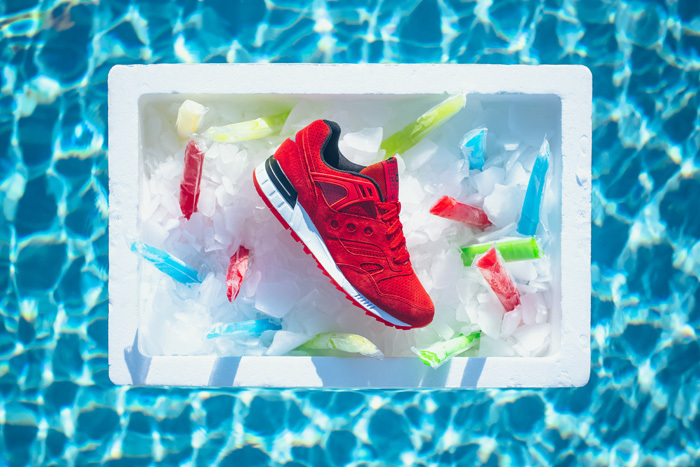 Drawing cues from the various colours and flavours of the popular summer time treat – ice pops, the shoes arrive in icy iterations of blue, light aqua green and red. 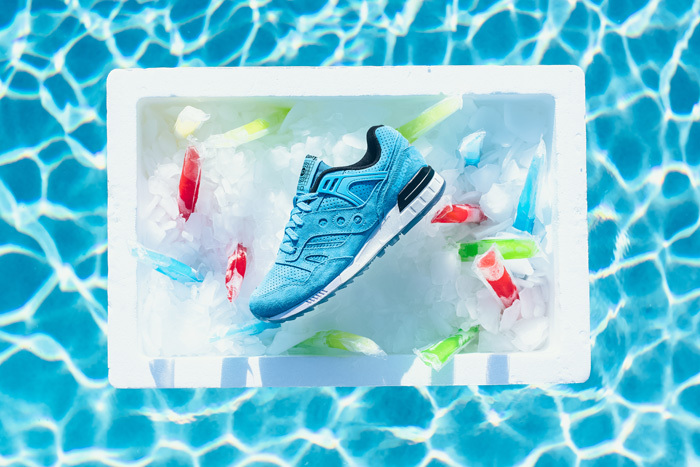 Each shoes upper arrives with a premium suede, perforated around the toe box, mid-foot and heel, with suede overlays on the mudguard and branding. The tonal uppers sit on top of a contrasting bright white GRID midsole and is accentuated with hits of black on the heel and sock liner. Additional features include tonal rubber outsoles, tonal lacing and SD labelling on the tongue.